Quote from Salon Today Magazine, "THEY HAD SMART MARKETING STRATEGIES. They created a business plan and followed it. They budgeted wisely and yielded profit. The result? 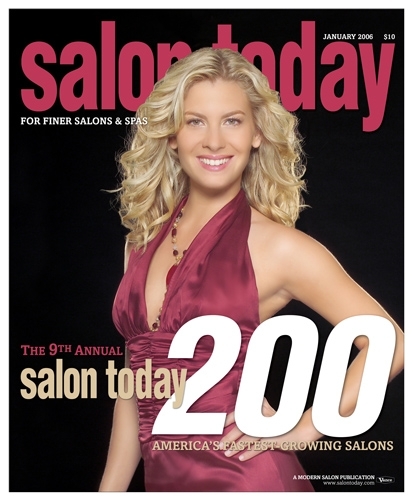 Increased revenue, growth and a well-deserved spot on the 2006 SALON TODAY 200 list. This year, we celebrate the Top 200 salons’ accomplishments."